When I am in the cellar of affliction, I look for the Lord's choicest wines. Faith grows best in the winter of trials. It is Feb. 26, 2017. Winter is almost gone, spring is already here. One of my neighbors donated Aloe Plant along with a pot. We put the pot at the porch last Fall. This morning after the worship service we went out to the porch. 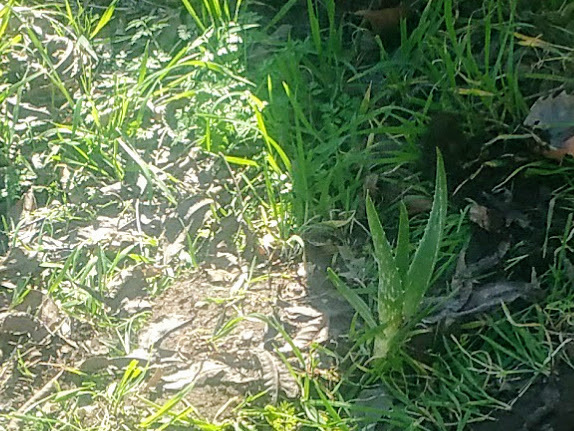 And saw that during the winter the Aloe produced a baby aloe, right next to the "mother" Aloe. 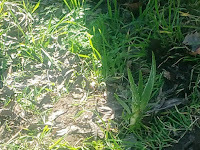 We transplanted the baby aloe from the pot to the soil at the front yard. 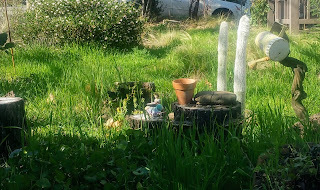 Three years ago I also planted cacti - which I call a twintower. At first they were about 12 inches, but now they are about 2 feet tall. The cacti had hard times during the winters and summers. But they kept growing. 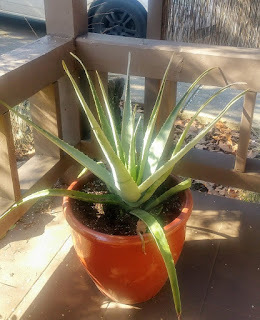 We hope the baby Aloe does well. In today's daily bread passage (2 Thessalonians 1:4) The Apostle Paul thanks the Lord for the growing faith of the Thessalonians. He mentions that their faith grew despite persecutions and hardships. This remark of the Apostle also reminded me of what Samuel Rutherford said: Faith grows best in the winter of trials. Faith needs to be nurtured, for otherwise like plants it can wither and die (or it can be shipwrecked, as the Apostle says). The Lord set a good example for he kept nurturing the faith of Abraham in Genesis. Each time he wavered in faith, the Lord appeared to him and nurtured his faith by talking to him, often times taking him out for a walk, or asking him to look up into the night sky and count stars etc. Finally his faith grew as strong as a tamarisk tree. The Thessalonians used to serve/worship "idols". But by God's grace the gospel reached them, and they were set free to serve the true and living God. This is like the Israelite serving Pharaoh while in Egypt. They did not have future, for they worked, worked, and worked, until they were all used up and perish. But in His mercy the Lord God saved them through Moses. Put them in the desert area for close to 40 years, and train them to know what it is to worship and serve God. During this time of training they did not work. The Lord provided them with what is needed - food, clothes, sandals, every thing. They devoted their time to study the Bible, to know that man lives on the word of God. The Lord put Israel in the Promised land so they would worship and serve God, that Israel be a kingdom of priest and nation. The Old Testament history writes that Israel failed to live up to the call. Yet the Lord did not give up on them. He sent Jesus the Son of God, who when tempted said to the Devil, "Man does not live on bread alone but on every word that come from the mouth of God", "Worship God and serve Him only", and "Do not put God to the test". Jesus then taught people, the parable of the workers in his vineyard. Pharaoh dictated Israel to make bricks without providing them with supplies. But God is different. He never asks his children to work without providing them with means to meet the call, as Paul says, "work produced by faith, labor stemming from love" etc. The Lord will come back to rescue us from the coming wrath. Upon leaving this world, while seated on the Mt. of Olives, looking at the Temple, Jesus gave his disciples the future state, that is, the coming wrath, culminating his return for the purpose of rescuing believers. But soon Jesus will come back to save his children (bride) to Himself, only to renew and put them in the new heavens and the earth, as is seen in Revelation 20-22. In today's daily bread the wisdom makes "911" call to us. Mr. Trump says the U.S.is getting smaller so he calls to stand up to make the U.S. great again. Why are the verses in the form of a question? Why are they in a negative question, "does not"? The answer is obvious: to emphasize the point. There is a call 'rigging' but no one listens, or although the call has been there ringing out 24/7 loud and clear many consider the call as non-existent. What doe the call say? Verse 1 talks about the highest point (2). This point refers to Jesus Christ, the Son of God, as the Scriptures call him the son of the Most High. With his wisdom Jesus founded the earth (which is rich with all resources like food. With his understanding he formed the heavens (which represents the environments in a loose sense of the word). Knowledge denotes the details like how to do's. Gate in verse 3 (to the city of life) symbolizes the channel through which resources travel, which again represents Jesus Christ, for he says directly on himself, "I am the gate" to the sheep pen. So if one looks to become rich again (like Mr. Trump calls out saying, "Let us make America great again" one must first look for Jesus, the Lord and Savior. Verses 4-19 describe the blessings that the call offers. Question becomes "How do I secure the offer?" "How can I gain wisdom, understanding, and knowledge"? The last two verses answer the question: the way of righteousness, that is "live by faith in the Lord." As one puts trust in the Son, the Creator and Redeemer of God, one gains what the call calls out to us. And the result is the cities getting filled up with treasures! Last night it rained hard. After breakfast I opened the front door and looked out at the porch for the morning newspaper: "Record Searchlight". 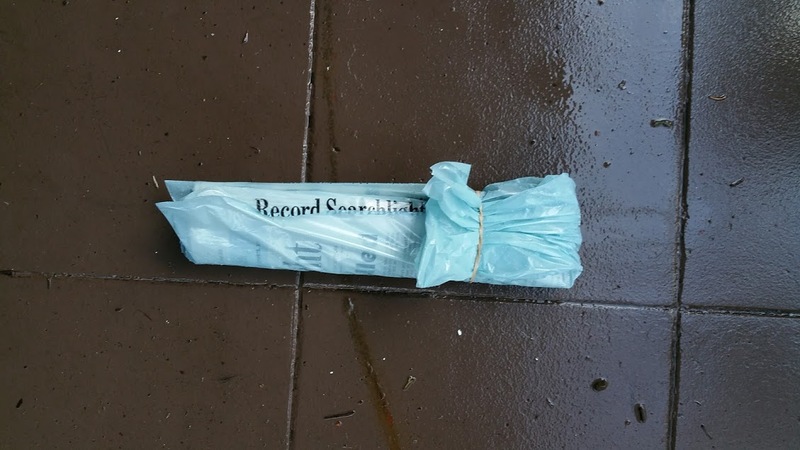 The paper was wrapped in a vinyl bag twice, and the opening was folded back tied down back to the paper, so water would not get in. And it was placed right over the front porch gate. On seeing the paper I thought, "Oh, he (or she) did a good job." 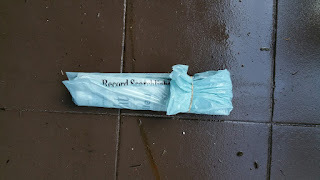 And I was reminded of the days when I was doing the paper delivery in W. LA area. The paper was LA Times. My route was located in a residential area near the Wilshire Blvd. between Santa Monica close to Bundy and Veterans Hospital Hospital at Westwood. The number of papers was more or less 380. I woke up around midnight, went out to the delivery center, made bundles, load them up to the pick up, go to the route, and deliver. And you must finish the job by not too late like before 5 am. The pay was not much: close or $500 a month. Then when the next morning come (the night passes 12 midnight) you go out and see your boss: the boss hands you over a note showing how many papers you screwed up: some paper missing, some got wet (by virtue of paper landing on a wet spot, or even in a swimming pool, or paper bag not covering properly) on wet days, or the paper hitting the front gate, making loud noise waking up the customer, so the customer had to file a complaint even threatening to cancel the subscription etc and so forth. When this happens it was the boss who had to make up for the blunders. 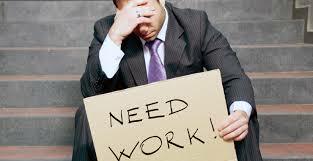 So I know how hard the job is: It is not easy! Yet the paperman does a good job "all the time", like today! 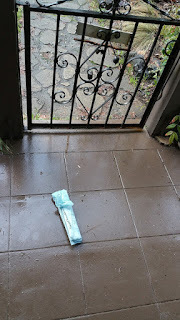 He or she (I don't know who that person is; I have the subscription for two years but never seen that person) has been punctual, with paper never missing, or landing in an odd spot. 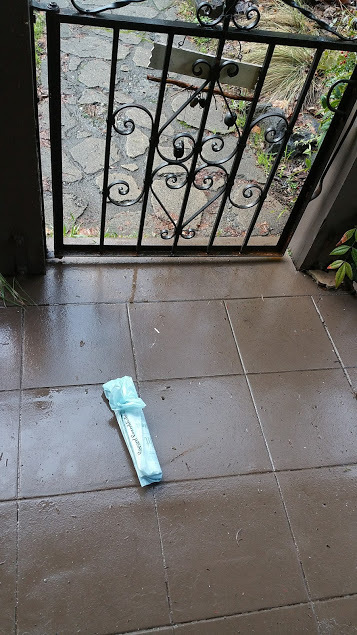 Thank you the delivery person for your service. You have been faithful/trustworthy with what is small! ‘Well done, good and faithful servant; you were faithful over a few things, I will make you ruler over many things. Enter into the joy of your lord.’"
May the joy of our Lord be yours! In today's daily bread passage, Proverbs 3:33 it is written: "The Lord curses the house of the wicked, but blesses the home of the righteous." I think the translator of the Hebrew Bible did a good job in distinguishing the house from the home, that is, the house which is just a hollow shell vs. the home which is filled up with love, peace, and comfort. In the previous passage the author of the psalm talks about a bunch of dos and donts in our relationship with our neighbors. Question becomes: how can you keep up with these dos and donts? The key is found in v. 33 of this blessed chapter: the home of the righteous. And even the life of the righteous does not come on its own. It requires to follow the principle (or rule), as is found in the life of Abraham in Genesis 12:1-5. There the Lord commanded Abram to leave his own country people and household, go to the land the Lord was going to show him. So Abram left and went. So we are exhorted to leave and go to the promised land never turning back, every day. In this internet age, we are all connected to our own country, people, and household, via all different inventions such as social media like facebook, google plus, whatsup, or kakaotalk. To some even one has to this leaving and going in regard to the one who lives and sleeps under the same roof all the time like his wife or kids. Leave and go. Exodus daily! Live by faith in the Lord, going to the land the Lord is going to show you for the land (spiritual) which is made visible to you only to the extent that you leave and go step by step.